please tell me is there any key for background music playing.please tell me. I like this samsung j700,its well designed and flashy.i thank the manufactures for there exellent job. the phone contains all tha features,i would recomend any one to purchase this phone, you wount regret it. God bless samsung company for their cool products. Thank you. I just got this mob for my mom.. Good value for money.. Great metal finish.. Glossy.. Looks good and feels rich.. Camera and Screen clarity are the only drawbacks.. 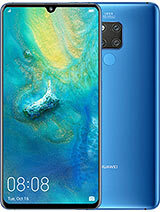 However great audio, equivalent to ipods.. Good choice fo Bass, Treble selectors.. With an extra 2GB card, this mobile can be the ultimate best than many other costly mobiles if one can contain with the camera and display quality.. This phone is very good but i cannot work out the password any help would be great. Ive just recently bought this phone, i like the shape and style of the mobile. I think it is good valve and has many of the features that are required. I enjoy playing on it like a toy lol, its so good to handle. I gonna rate this 9/10, I will look after it and so smart and in black suits a male owner. Good luck if you buy one, i will enjoy using it, excellent company Samsung. 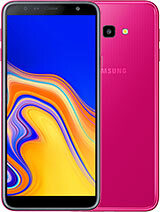 I have been using Samsung J700 for over 7 months, the phone overall is very good compared to its price, its shape is realy attractive and its sound is loud. 2- some audio files and images does not open. 3- sometimes when you reply on person by making the slide up, the call closed instead of begining the call. 4- no silense key when a call ring. I recomemnd this phone if your budget is small, if it is bigger, you can go for nokia 6210 for example. can somebody tell me if this mobile has some buttons with touch sensitive control pads like the model samsung e900? thanks and i appreciate if i will se an answer soon!